Throughout our careers, change is inevitable. As we pass and navigate around key landmarks, and as the roles and responsibilities change, so must we. Rebranding and reinventing yourself to adapt to new environments is essential in order to face new challenges, targets and prospects. 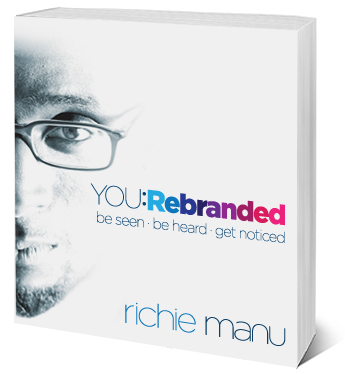 ‘You: Rebranded’ explores unconventional thinking and practice by providing creative methods and strategies to stand out, be distinctive and be equipped for change in our careers. This book is filled with tools that enable you to think and act differently throughout your career. Delivered in two main parts (ReThink and ReAct), part one provides thought-provoking and abstract perspectives that help you to rethink conventional practice. Part two then delivers proven practical methods and strategies to apply to make you distinctive. The book also contain manageable tasks that ensure that you are applying what you read.As well as exclusive interviews with leaders in their respective fields, the book also serves as a signpost to other essential related material. Sign Up to get info on talks and events!